Tennille joined our herd recently along with three other females. Her bright white fleece is dense and and very fine. Tennille does not wish to be bred. We accept MC/VISA, monthly/quarterly payment plans to suit your budget • Purchases $1,000 or below - Cash/ MC/VISA • Purchases $1,001 and up - FINANCE TERMS available at 30% down, 12 monthly payments 0% interest. • Transportation and veterinary inspections are the responsibility of the Buyer. Free agistment for 30 days from date of purchase. Thereafter, agistment is $3 per day. 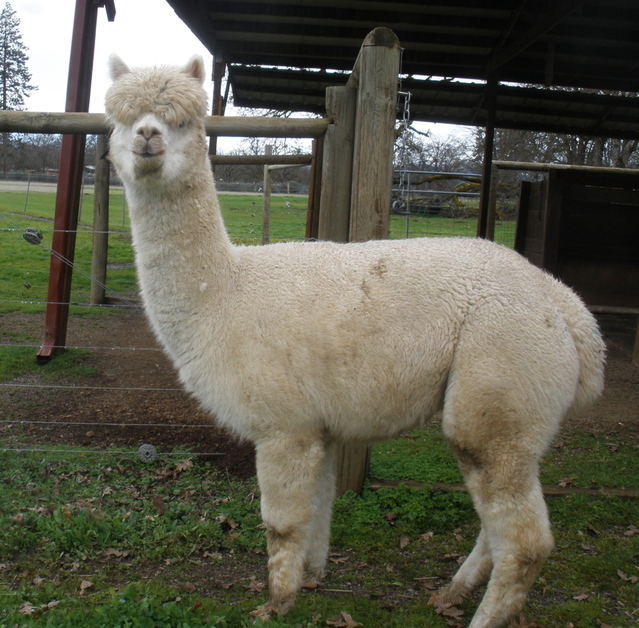 Females due in June stay free until cria is a minimum of one month old. 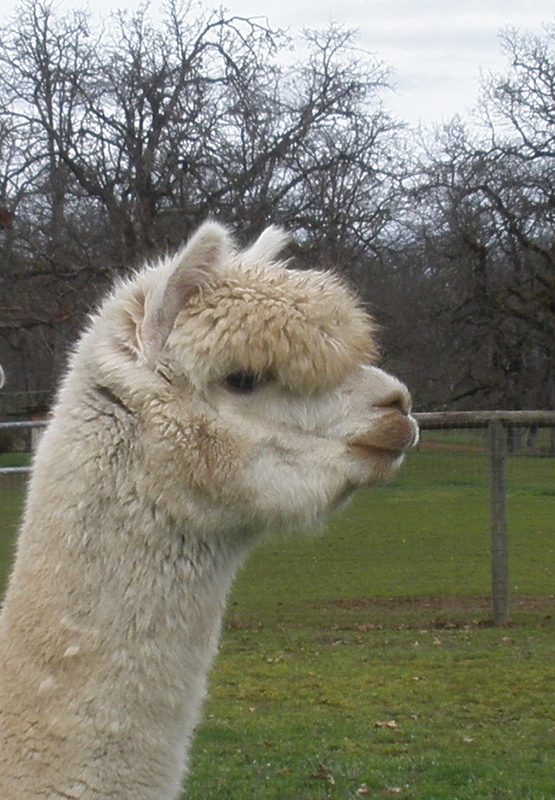 Thereafter, the fee is $5 per day for dam and cria. Reduced fees on rebreeds to our studs are available. Buyer is responsible for all vet services including ultrasounds. Buyer pays for health certificate and transportation.